Home » Is Uterine Fibroid Embolization painful? 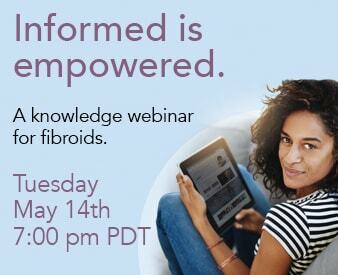 Share the post "Is Uterine Fibroid Embolization painful?" Have a low tolerance for pain? If so, then you will be happy to hear that patients that undergo UFE experience virtually no pain. The actual embolization procedure is not painful at all. Due to the fact that Uterine Fibroid Embolization (or Uterine Artery Embolization, UAE) is a less invasive procedure and only requires a very small incision about the size of a freckle, it does not cause pain to the patient. It is performed under local anesthetic which allows the patient to under go the procedure without having to feel any discomfort of pain. The procedure itself is non-surgical, quick, and holds no discomfort. Read about the Top 10 Advantages to Embolization. At any rate, almost all patients develop some degree of crampy pelvic pain for the first 6-10 hours after the procedure. This is often caused by the fibroids that are breaking down. The amount of discomfort varies greatly from patient to patient and is difficult to predict in advance. Some women describe it as being similar to moderate-severe menstrual cramps. The cramping, however, is usually well managed with a oral medications, allowing discharge home .Because UAE is an out-patient procedure, most patients are back to work anywhere from a few days to a week.